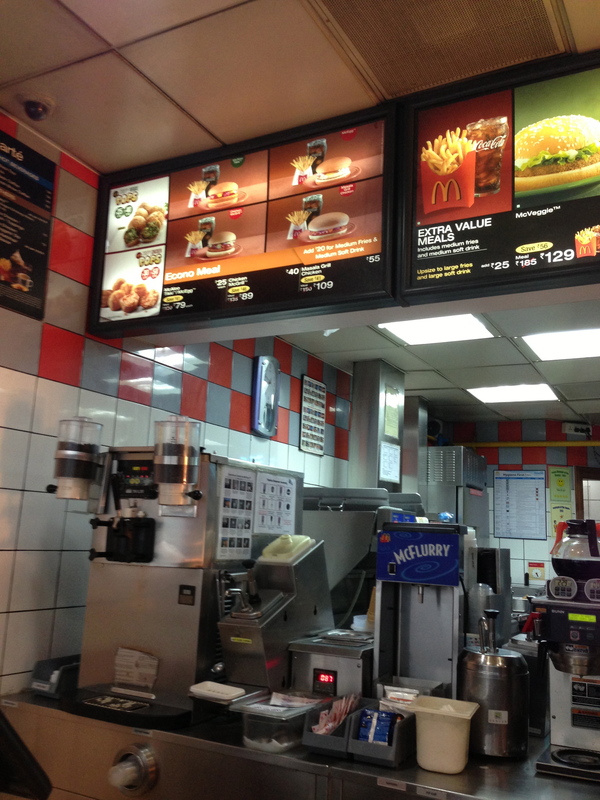 What’s great about fast food joints like McDonald’s is the consistency – you know what you’re going to get! And don’t get me wrong, I love experiencing different cultures through food but I’m just as curious how large international food chains adapt to local tastes. 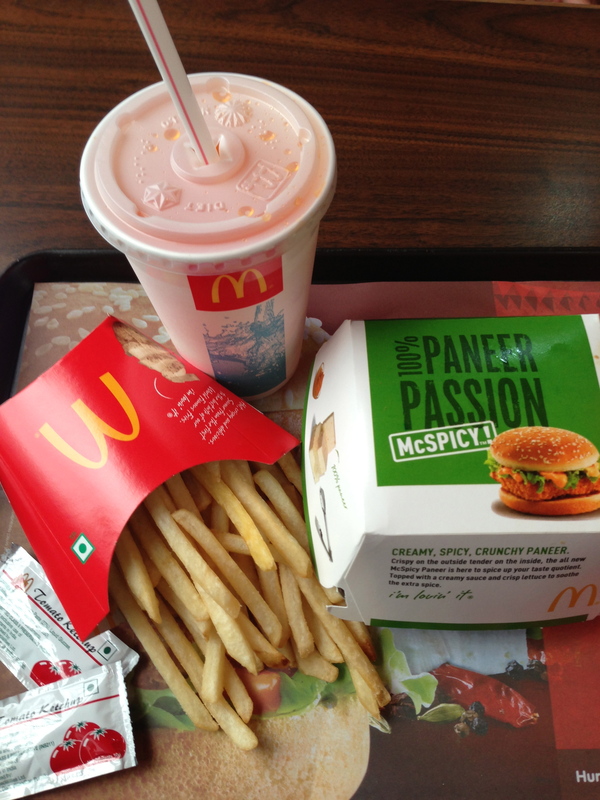 So McDonald’s was high on my list of “must-haves” in India. 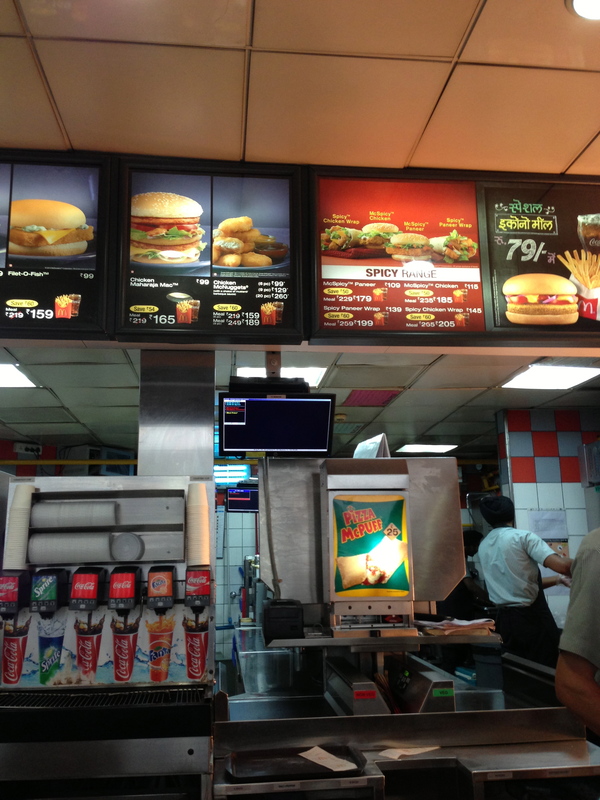 And of course, not to my surprise, there was no Big Mac to be found – well, no beef or pork. 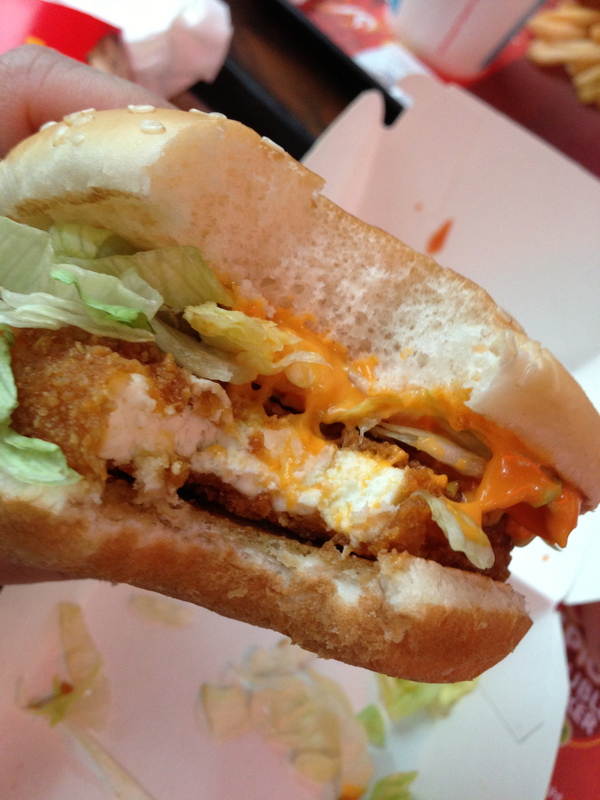 However, the variety of chicken, filet-o-fish and paneer (yes, I said PANEER!) burgers made up for the absence of beef burgers. 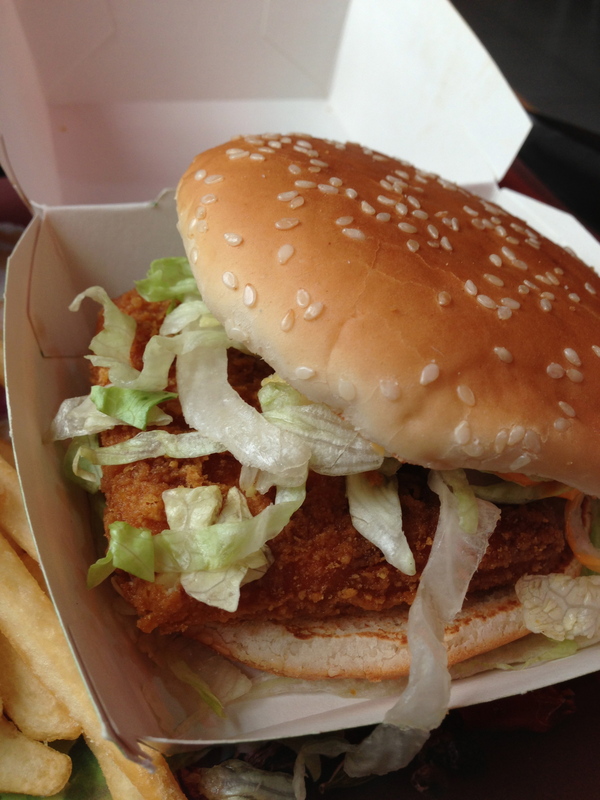 I went right to the McSpicy Paneer Burger – basically a nice block of cheese covered in batter and deep fried with shredded lettuce and a spicy mayo! Delicious! 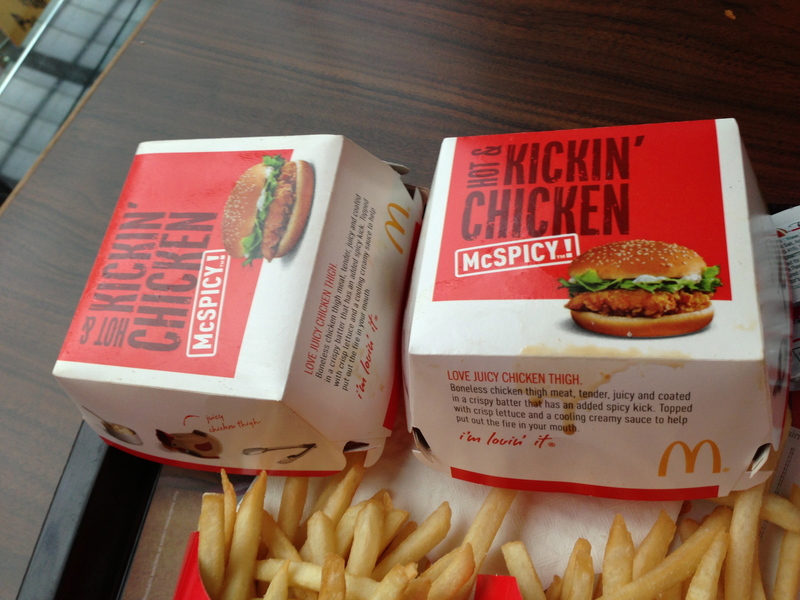 And the fries…..just as I hoped, the same – oh how I love McDonald’s (in moderation)! Spicy Paneer burger meal deal. My spicy paneer burger – delish! Taking a bite out of my spicy paneer burger. Cheesy goodness!